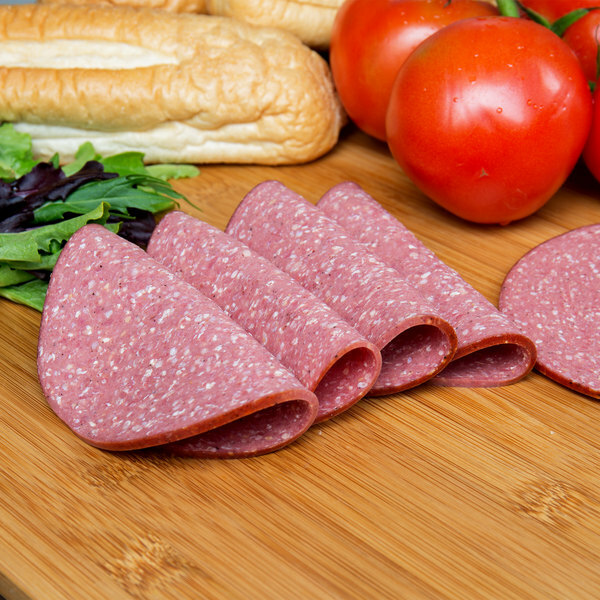 Add a classic deli meat to your kitchen with this Weaver's Lebanon bologna halve. 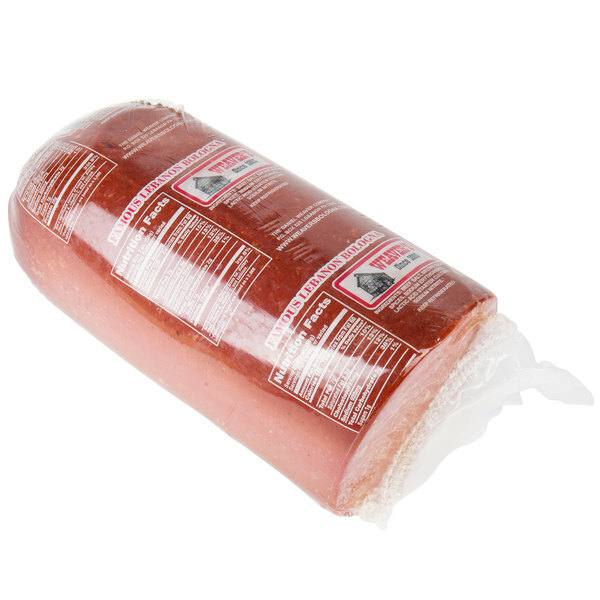 Made of domestic beef to provide a high-quality product, this bologna is perfect for your cafe, diner, or restaurant. Packed as a half piece, you can slice this meat up to best suit your needs. It's great for serving as a cold cut or in appetizers. Guests will love its distinct flavor with a hint of smoke, leftover from its slow-curing process. Named after Lebanon County, Pennsylvania, where it has been made since 1885, this delectable treat was developed by Pennsylvania Dutch immigrants to mimic some of the slow-cured products in Germany. Although bologna has its roots in european tradition, it is one of the few truly American sausages. Cube it and pair with a delicious assortment of cheddar and Swiss cheeses to create the perfect appetizer tray. Or create a traditional deli treat by slicing this bologna and layering it with provolone cheese and mustard on a freshly toasted roll. This bologna is great to use alongside spicy mustards. 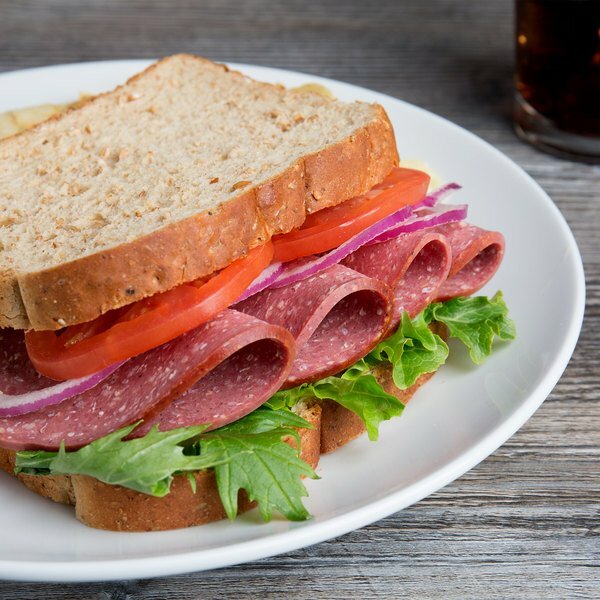 Bring this bologna to your restaurant to add a touch of fresh Pennsylvania Dutch flavor to your menu. 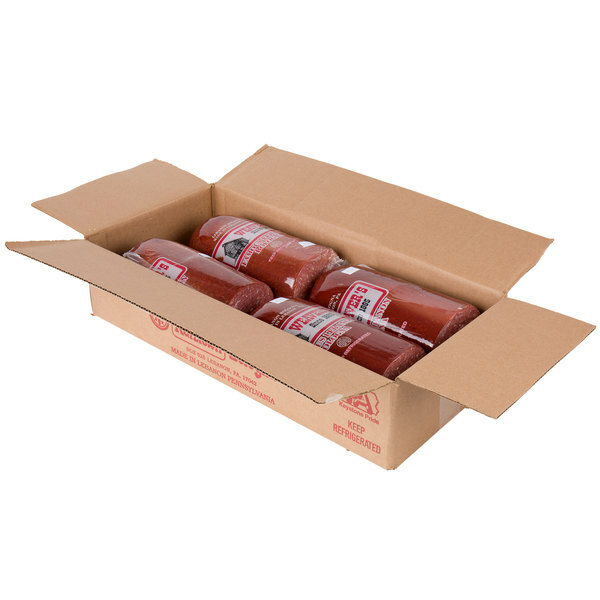 With a rich history grounded in quality, community, and, most importantly, flavor, Weaver's Bologna has been passionately producing quality smoked meat products for over one hundred years. 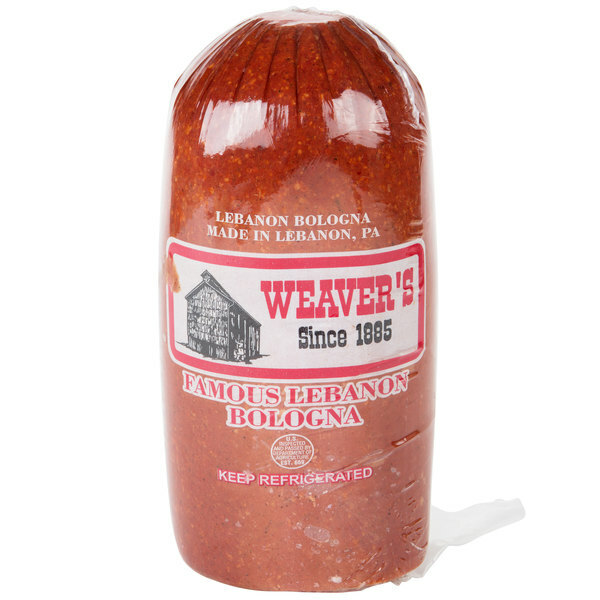 Based in the quaint town of Lebanon, Pennsylvania, Weaver's Bologna products ensure small-town excellence with time-honored tradition. From beef sticks to pepperoni sticks, turkey snack sticks to Lebanon bologna, their selection of smoked meats offers something for everyone.